Love of beauty is taste. Creation of beauty is art. You don’t have to look far to find a special offer for tooth whitening - many dental clinics on the Costa del Sol promise pearly white teeth for bargain prices. It can seem very tempting. However, before you part with your money, it’s worth considering if it’s actually the best option for you. Tooth whitening has its limitations, as any good dentist should tell you, and that’s what we’re going to look at in this article. There can be numerous reasons why your teeth are not as white as you would like them to be. The first is simply your genetics - teeth come in 28 naturally occurring shades, ranging from butter yellow to grey. It’s extremely rare to find pure white natural teeth; the dazzling smiles we see in toothpaste adverts and on Hollywood movie stars are usually produced artificially. While your base tooth colour is genetically determined, your shade will change as you go through life due to external and internal factors. Staining to the enamel (the tooth’s hard outer surface) comes from consuming food and drink with vivid pigments, such as red wine, coffee and curry. Tobacco is also a major culprit when it comes to discolouring the enamel. However, not all stains are purely on the surface; some come from within. If there has been internal damage to your tooth such as deep decay or a blow to the tooth then it may discolour due to the pathology. In addition, over time the dentine inside your tooth can naturally start to show through. The dentine is the sensitive tissue that lies just below your enamel and it is naturally darker and more yellow in colour. If your tooth enamel has worn thin, due to trauma, exposure to certain medications or decay, then this layer may become visible. Also, as you get older your dentine gets darker, thus your teeth may look significantly discoloured with ageing, through no fault of your own. Unfortunately, if you have thinning enamel, whitening may not be the best solution for your problem - in fact it could make it worse. The chemicals used in whitening treatments can cause sensitivity for those teeth which have very thin enamel layers. The potential of teeth whitening to cause damage has led to the phasing out of the whitening lamp (traditionally used to accelerate the bleaching process). Studies have found that the additional heat can cause the teeth to become dehydrated, resulting in more sensitivity, and its actual benefits for the results are minimal. Whitening also doesn’t change the colour of crowns or fillings so if you have had previous work done to your natural teeth this might not be a good option for you. Putting negatives to one side, it’s also important to be realistic about the results tooth whitening can achieve. You can expect to go a few shades lighter, but the result will depend on your starting colour. If you have naturally greyish teeth, for example, you’ll lighten up a little but you won’t suddenly obtain an ice white smile. In addition if you have uneven or patchy tooth colour, for example white spots, whitening will not even the colour and could actually make the differences more apparent. If you don’t like the colour of your teeth, there are other options besides whitening. First and foremost, if you have staining to your enamel seek out a professional clean. Most surface stains can be removed in this way, taking you back to your original colour. If your natural colour is not pleasing to you, or if you have dentine showing through, you can reliably change the shade of your teeth with porcelain veneers or crowns. While this can be a bit more of an investment in money and time, with advances in technology, ultra-thin veneers can sometimes be fitted in as little as two visits. With porcelain you are in complete control in choosing the shade you desire. The additional benefit of veneers and crowns is the opportunity they offer for improving other aesthetic aspects of your smile. 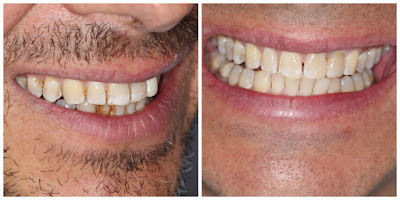 For example, if you have chipped, misaligned or uneven teeth, this can all be fixed at the same time, at no extra cost. To find the best treatment option for you, contact Ocean Clinic for a no obligation consultation. And to see how good your smile could look, follow our dentist @drninaking on Instagram. Plastic Surgery Insurance: What Does it Cover? Are you deterred from having plastic surgery because of fears of complications? Perhaps you are put off from travelling to Spain for surgery from your home country in case you require follow-up treatment? These are valid concerns and in order to give you the confidence you need, Ocean Clinic is partnered with Beauty Protect insurance. The insurance covers you in the event that anything unexpected occurs. Beauty Protect is offered in addition to the highest levels of surgical care - Ocean Clinic goes to great lengths to minimise risks. We commit to providing first class aftercare to all our patients, however the insurance can provide you with extra peace of mind. Any form of surgery comes with risk. An experienced surgeon and anaesthetist help to minimise that risk, but each patient is unique. People have different risk factors, relating to their age, genetics, health and lifestyle. People also have different capacities for healing and recovery. This means that sometimes complications can occur even when best practice has been carried out. If you require medical intervention following your surgery due to a complication, Beauty Protect will ensure you are fully covered so you don’t have to worry. If you have an existing health insurance policy, treatment of this nature might not be covered, so it’s worth checking your documentation. The Beauty Protect Exclusive Tariff covers all types of plastic and cosmetic surgery procedures and all forms of complications, including capsular contracture of breast implants (the cost of replacement implants is also covered). You can choose to be covered for complications arising either one year (€199) or three years (€398) post-surgery. If you are worried not only about complications following surgery, but also about being unhappy with the aesthetic results, additional cover is available. The Esthetic Plus option can be added to your policy for €199 and means you will be covered for a second surgery if you feel the objectives of your treatment have not been met i.e. you feel your nose has not been sufficiently altered. If there has been a complication that has resulted in an aesthetic issue but not one that necessitates medical intervention, for example the formation of scar tissue, this policy will also have you fully covered. You may choose to take this a step further with the Satisfaction Guarantee add-on at €99. This covers you for 6-months following surgery in case you desire further changes. Perhaps you decide you want breast implants of a different size or more fat transferred to your face? In which case, you will be able to have follow-up treatment. The Exclusive Tariff covers you for issues with breast implants that require medical intervention, such as capsular contracture. The Esthetic Plus option covers you for another breast augmentation in case the implants need to be removed, for example after a healing complication. It also includes the correction of complications such as double groove, rotation, displacement, cascade deformity or poor positioning. However, there is additional cover for breast implants available at the cost of €19, for any damage sustained through accident. It provides three years of protection and is especially designed for patients who are at a higher risk of accident due to leisure activities such as skiing, cycling or horse riding. If you are considering surgery in another country, the thought that something might go wrong once you get home can be a big worry. It’s not only the cost of returning to the country where your surgery took place, it’s also the convenience. The knowledge that you can seek quality follow-up treatment locally can go a long way to putting your mind at rest. This is why Beauty Protect includes a Tourist option at no additional cost with its policies. It means that if medical treatments are required for a complication, you can seek treatment in your home country. If you would like to know more, visit www.beautyprotect.com. To discuss aftercare in more detail, contact Ocean Clinic to make an appointment. Ocean Clinic has turned ten! To celebrate this milestone anniversary, we’re taking a look back at some of the many highlights of the last decade. 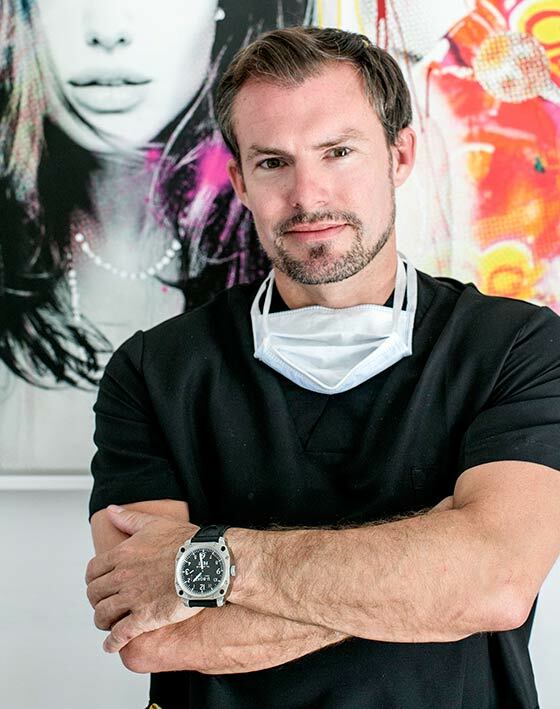 Ocean Clinic was founded in October 2008 by Doctor Kai Kaye following a move to Spain from his native Germany. He hoped to bring the expertise he had developed in specialist areas such as breast surgery, microsurgery and autologous fat transfer to the Costa del Sol. He started with just one small consulting room but Dr. Kaye soon gained a reputation and the business grew rapidly. 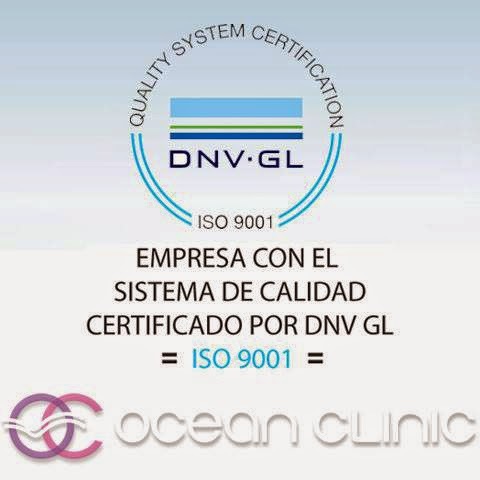 Today, Ocean Clinic boasts 800 sqm of state-of-the-art facilities on Marbella’s main thoroughfare, Av Ramon y Cajal. It is one of the few clinics in the region to have its own in-house operating theatre and luxurious guest rooms. The facilities are not the only thing that have expanded - once a solo venture, Ocean Clinic now has 13 employees and five doctors in attendance. Dr. Kaye has focused on nurturing talent, training three residents in the last five years, including Dr. Felix Paprottka, now a Junior Consultant at Ocean Clinic. With Dr. Kaye and his team performing in excess of 500 surgeries a year at the Marbella clinic, further expansion is on the cards - branches of Ocean Clinic will be operational in Madrid and Zurich from December onwards. 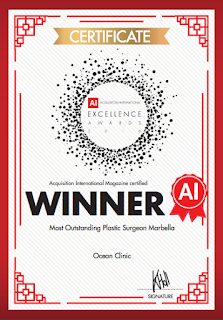 Ocean Clinic is named ‘Best Plastic Surgery Clinic in Marbella’ by Essential Magazine, two years running. A new technique developed by Dr. Kaye to overcome limitations in short-scar facelift surgery by adding a fourth suture is published in a prestigious Germany medical journal. Dr. Kaye pioneers a new concept in facelifts. His signature PAVE-Lift (peeling-assisted volume enhancing lift) is presented at surgical meetings around the world to great acclaim. First CSR trip undertaken, to perform life-changing reconstructive surgery on children and adults in Peru. This is followed by missions to Kenya in 2015 and 2016 and recognised with a Medical Charity Award in the 2017 German Medical Awards. Dr. Kaye is elected a member of the prestigious American Society of Plastic Surgeons. Fewer than 20 surgeons in Spain have this honour. 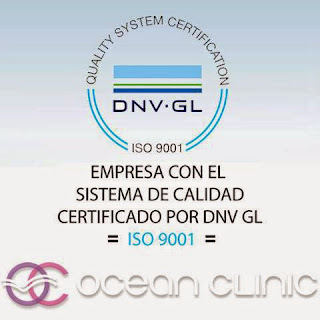 Ocean Clinic Marbella becomes the only independent Plastic and Aesthetic Surgery Clinic on the Costa del Sol to achieve the (ISO) 9001:2008 certification for Quality Management Systems. Ocean Clinic is awarded a What Clinic Award for customer service. Dr. Kaye organises the first international plastic surgery meeting in the south of Spain. The Marbella International Plastic Surgery Summer School (MIPSS) is now in its third year and endorsed by five professional associations. Dr. Kaye is named ‘Best Plastic Surgeon – Marbella’ in the 2016 Healthcare & Pharmaceutical Awards. Ocean Clinic is named the ‘Most Outstanding Plastic Surgery Clinic in Marbella’ in the 2016 AI Global Excellence Awards. The clinic wins ‘Best Plastic and Cosmetic Surgery Clinic - Spain’ in the 2017 Healthcare & Pharmaceutical Awards. 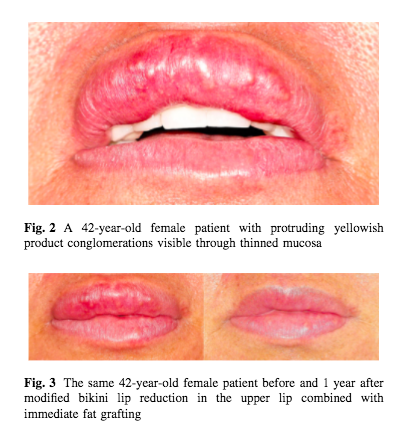 ‘The Liquid Facelift’ study, looking at the use of water jet-assisted liposuction in facelift surgery, is published in the highly respected scientific journal JPRAS. An eight-year study into the removal of Aquamid lip fillers is published in the medical journal Aesthetic Plastic Surgery. Ocean Clinic is named ‘Best Resident Teaching Center’ for clinics with fewer than three training posts by the German Plastic Surgery Society DGPRAEC. Watch this space to see what comes next! 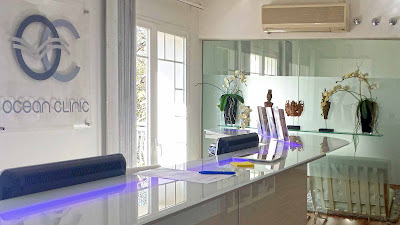 To make an appointment at Ocean Clinic Marbella contact us on 951 775 518. What Questions Should I Ask at My Nose Job Consultation? Taking the plunge and finally booking a consultation for a nose job is both exciting and daunting. You’re bound to be a little nervous on the day, so how can you make sure you get all the important information you need? 1. Am I a good candidate for rhinoplasty? To ascertain whether you’re suitable for rhinoplasty surgery the surgeon will firstly want to know if you’re fit and healthy, but they’ll also need to undertake a physical examination of your nose, skin and cartilage. 2. Do I have realistic expectations? If you have a clear idea of what you would like your nose to look like, it’s important to communicate this to your surgeon. Perhaps you want to take along some photographs of ‘ideal’ noses to illustrate your goals? With this frame of reference, your surgeon will be able to advise what is, or what is not, possible. A good surgeon will be open and honest about the results you can expect to ensure you will not be disappointed. 3. Would my rhinoplasty be open or closed? Rhinoplasty can be carried out in two ways - either through incisions made inside the nostrils or via an incision made on the outside of the nose, between the nostrils. Whether you require closed or open depends on the complexity of your surgery as well as the surgeon’s preferred way of working. You will also want to know if the bridge of your nose will be broken as part of your surgery. Some bumps can be reduced by filing alone or through cartilage trimming so it is not always necessary. 4. How much experience do you have in performing rhinoplasty surgery? Rhinoplasty is an extremely complex and demanding surgery so it is advisable to choose a surgeon with robust experience in this field. Ask your surgeon if he or she understands the airway - even if you have no airway concerns, you may end up with breathing problems if the surgery is carried out without adequate knowledge of the nasal anatomy. Ask the surgeon how many rhinoplasties they have performed and how frequently they perform them now - ideally, you want a surgeon who is very active and up to date with current techniques. 5. Can I see before and after photographs? Surgeons are like artists in that each one has their own individual style. Looking at examples of their work will not only provide reassurance that they are competent in carrying out the procedure, but also show you the style of their work. 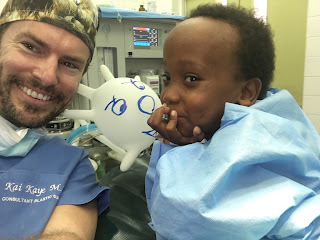 Do you like the noses the surgeon has created for other patients? Although results depend on what a person’s nose was like in the first place, it will give you a good idea of the surgeon’s aesthetic. 6. What is your policy on revisions? If anything goes wrong with your surgery or you’re unhappy with the results, it’s important to know if your surgeon will be agreeable to fixing it. Find out what they will take responsibility for and what they won’t (such as scar tissue forming). If the problem is a result of the surgery then it is common not to charge the surgeon’s fee again. Overhead costs, such as the anesthetists’ fee may still be chargeable however, so you’ll want to check if this is the case. 7. What is the revision rate among your rhinoplasty patients? A high revision rate should set alarm bells ringing, however, it’s worth noting that even the best surgeons have revision rates of 5% to 10%. That’s because there are multiple factors that contribute to surgical outcome, including the patient’s own healing ability. You might also like to ask about patient satisfaction rates and whether there’s the opportunity to view some testimonials, or even speak to a previous patient in person. 8. What are the potential risks or complications for me? No two patients are exactly alike so it’s worth asking your surgeon about anything that could pose a risk in your case. Perhaps you’re a smoker (you will be asked to stop!) or you have particularly thin or thick skin? Furthermore, each nose can present different challenges so ask your surgeon to outline anything that could prevent you from getting the results you desire. Remember, until a surgeon has seen ‘under the hood’ they cannot speak with complete certainty. 9. How long will my recovery take? Just like your surgery, your recovery is unique to you. It is impossible for your surgeon to know exactly how you’ll heal, but he or she will be able to advise on the extent of trauma your operation will inflict. Bruising and swelling will depend on factors like whether the bridge of your nose will be fractured and if your nasal tip will be reshaped or rotated. Your surgeon will be able to tell you if you’ll have to wear a plaster and how long for, as well as when you can return to work and any sporting activities you normally engage in. 10. When should I expect to see the final result of the procedure? Rhinoplasty patients often have unrealistic expectations about the amount of time it takes for the healing process to complete. The more extensive your surgery, the longer it will take for you to see the final result - sometimes in excess of a year. Your surgeon will be able to advise how long that period will be in your case. For example, if you’re just having a bump filed away from your bridge, you’ll see the end result sooner than someone who is having work to their nasal tip, where swelling can persist. In addition to these 10 rhinoplasty-specific questions, there are some more general questions you should ask your prospective surgeon. Ocean Clinic Marbella is always happy to answer your questions - email us at info@oceanclinic.net or call 951 775 518 to book a consultation. Something amazing happened in the world of science recently and it means doctors might soon be able to reverse the effects of ageing, rather than just repairing them. According to researchers at the University of Alabama at Birmingham in America, reversing wrinkles could be as simple as switching off the gene responsible for skin ageing. A study in mice showed that wrinkled skin (as well as hair loss and greying hair) could be completely reversed in just a matter of weeks. The mice were given a drug to induce mitochondrial dysfunction, mimicking what happens as we age. In four weeks, the mice showed grey hair, reduced hair density, hair loss, slowed movements and lethargy. Wrinkled skin was seen in four to eight weeks, and females had more severe skin wrinkles than males. Incredibly, simply by switching off the mitochondrial dysfunction (by stopping the drugs), all of the symptoms experienced by the mice disappeared. The skin and hair returned to how it had been previously within two months. The mice who had been used in the experiment were indistinguishable from other healthy mice of the same age. Interestingly, the wrinkled skin showed changes similar to those seen in both natural ageing, and those caused by external factors such as sun exposure and smoking. These changes included an increased number of skin cells, abnormal thickening of the outer layer, dysfunctional hair follicles and increased inflammation. The fact that these effects were reversed means that skin damage of all types could potentially be cured in humans. The researchers say the “surprising” results of the study will be used to develop drugs for the treatment of ageing-associated skin and hair conditions in humans. Popping a pill to make your wrinkles disappear sounds great but sadly, it’s still likely to be a considerable number of years until these drugs hit the market. Botox can take years off your face by eradicating forehead lines and frown lines, and improving the appearance of crow’s feet around the eyes. It achieves this by paralysing the muscles responsible, giving you a relaxed, smooth brow area. By preventing use of these muscles it also acts as a preventative treatment, meaning wrinkles will not worsen. A lot of people don’t know Botox can also be used to lift the brow. Injections above the eyebrows can give your eyebrows a more defined shape. Meanwhile, the skin above your eyes is lifted to reveal more of your eyelids and make you look younger and more alert. As we age, our faces lose volume. Our cheeks become more hollow, we develop hollows under our eyes (or bags) and our lips thin. With that loss of fat, the skin becomes looser and starts to wrinkle. Dermal filler can replace that lost fat, restore volume and fill out wrinkles. 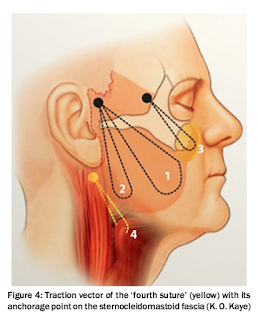 Filler can be used to treat marionette lines around the mouth, so-called smoker’s lines around the lips and also around the chin and jaw to correct jowls and enhance definition. Under eye hollows can filled out, while the appearance of under eye bags can be improved by smoothing the transition from the cheek. Venus Viva is a skin resurfacing treatment that uses nanofractional radiofrequency to heat the cells below the surface of the skin and stimulate the body’s natural collagen production. Boosted collagen causes the skin to tighten, meaning lines and wrinkles become less noticeable. Venus Viva also helps improve skin quality around the eyes and along the jawline, restoring youthful definition. At the same time, skin blemishes such as acne scars, age spots, redness and enlarged pores are visibly improved. A course of treatments is required. Ocean Clinic Marbella offers all of the above treatments (and more) in its non-surgical department. Contact us for more information.